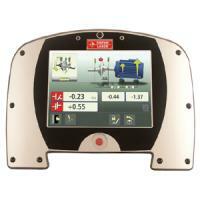 The Fixturlaser XA Pro redefines the Standard for Laser Based Shaft Alignment. At its launch a few years ago, the Fixturlaser XA definitely set a new standard with its innovative design, allowing quick and accurate laser based shaft alignment. With the introduction of new technology in both hardware and software, this alignment tool took a huge innovative technology leap forward with regards to its user friendliness and the once so time consuming task of performing shaft alignment. The Fixturlaser XA Pro is a new and improved successor to the Fixturlaser XA with more new features and more content that will make your every day maintenance job a lot easier. Documentation: name your alignment and save it in the memory manager. Unlimited number of savings.